Outstanding Mr.Oochappan. 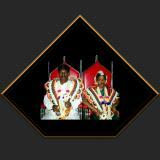 Its a gr8 contrbution/documentation to south tamil nadu. Awesome pictures. Truly beautiful & real. Your Bull Fight snaps are awesome... Great work. I applaud you effort to make famous a humble man from india who inspired you. I have been inspired by your photographs, images, insight, comments and quest. I have only been to india once earlier this year, and it was a culture shock, but also instant love. I cannot wait to return and your images remind me how amazing the country and its people are. I hope to share your site with many others to encourage them to open their hearts, minds and lives to amazing India. Kindest regards from NYC. Wounderful pictures. I am always impressed with your work. Especially bull fight please adds more bull fight. People who around me in Dubai like bull fight. No matter how many times I visit your galleries, I am always impressed with your work.